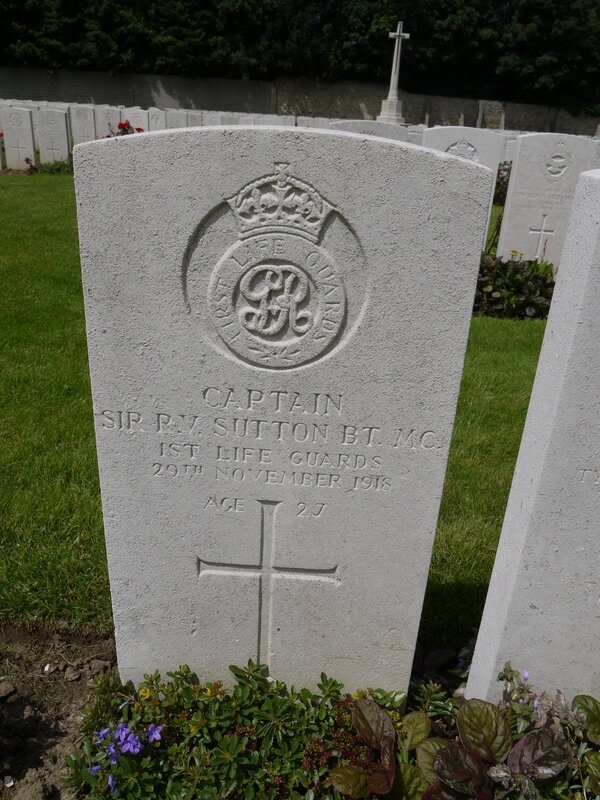 Captain ‘Sir’ Richard Vincent Sutton MC (Life Guards attached Guards Machine Gun Regiment) the Baronet dies in France at age 27. Paymaster Sub Lieutenant Harold Mowell Manwell Crofton (HMS Curacoa) dies of illness at home. He is the son of the Reverend Henry Francis Crofton. Private Philip Le I Findley (Canadian Army Medical Corps) dies on service at Etaples at age 27. He is a Wesleyan Minister. Trooper Edward Owen Green (Australian Light Horse Machine Gun Squadron) is killed in a fall from his horse at age 32 near Tripoli, Syria. His brother was killed in action last July.